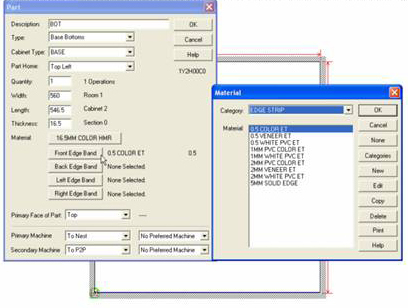 To change, delete or add banding on a part in the CNC Center, double click on the part. In the Modify screen select the edge to be modified and then a banding. Poly Grooves can now have each point referenced to any of the 9 reference nodes on the part or part template. 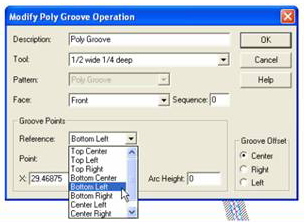 This allows the poly groove to expand or contract parametrically with the part size. 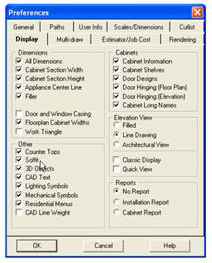 Prior to V 8.2 any cabinet with a saved Cabinet Cutlist or Multi Cross Section has had the door, end panel and drawer front style locked in with the saved information. Now you can change the Door, or Drawer Front or End Panel to a different style while retaining the changes in the cutist or Multi Cross Section. 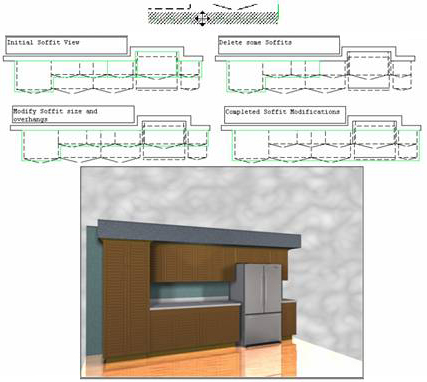 You can expect the door style as well as the overlaps to change when the door is changed via Cabinet or Section Modify. End Panels will typically change. If you have modified sub panel types or rails, particulary on wainscoting, there may be some changes not accounted for. Be aware of arched top rails to make sure the size is correct for the desired shape. Switching from a Slab to F&P type end panels or wainscoting may not pick up all changes. The Cabnetworks program now has an Undo and a Save function that have Tool Bar icon controls. 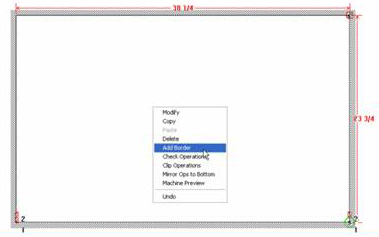 Undo is available until Save Multisection is selected or Multi Cross Section is closed with the changes saved, and is a step by step undo that cycles through each change made. The Undo Levels setting in Preferences - General determines how many undo levels are saved. If you have Undo Levels on 10, the last 10 changes will be available for undoing. When its ambiguous as to what is being pointed at, the overlapping Cabinet readout will allow a specific selection. This feature is particularly useful when you have stacked upper cabinets or the same depth cabinets on the same wall area. Even within a cabinet can be selected this way. There is a Soffit display option in the Preferences - Display screen. Check this on will display the Soffit on Floor Plan view by default. This can also be toggled on or off from the View - Display Options screen. There is also a tool bar for quick access to the Soffit view. The Icon can be found on the Views toolbar and can be added to any custom toolbar. Select an edge or a corner and move it with the mouse select button when the 4 pointed arrow appears. You can now have drawer slide hardware linked to custom sized drawer boxes. If "No" was entered in the "Stock Drawer Sides" parameter above, this will tell the program you want to ues custom size drawer side heights and lenghts. Disregard the Stock. NC Center enabled to have access to the Border Shape, Pocket circle and Rectangle tools, and all the following operations associated with the border shape. 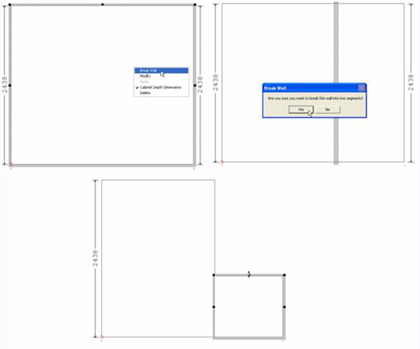 Toadd a border shape to a part or part template, select the part and choose Add Border from the <RB> menu. The border can only be added to the Primary Face of the part. The border will allow for the edge banding thickness and will adjust if the banding is changed. To delete the border, highlight the border and hit the delete button on the keyboard or choose Delete from the <RB>menu. If you delete the border on a shape part, all the shape information is lost unless you hit Undo befor saving or changing part screens. 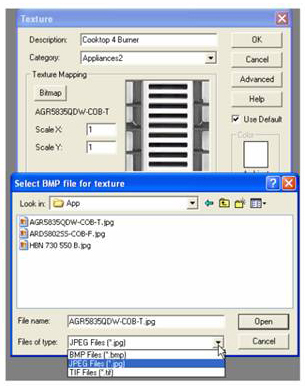 When setting up Textures, you can now assign a .jpg file as the pattern in addition to .BMP files. Find this File - Setup - Render Textures. Edit a texture and click on the Bitmap button. Select JPEG Files (*.jpg) from the Files of Type list box. You can also select *.tiff files for textures. There may be more jpg files available for use than .bmp files and the size is typically smaller. To creat a wall that has two or more heights after the wall is drawn, do the following: View the elevation. Highligh the wall and choose Break Wall from <BR> menu. Select the vertical hatched line and drage it near the position you want the wall to be offset. Click on Yes an the Break Wall box that asks 'are you sure you want to break this wall into two segments? Press the Ctrl key on the keyboard and select one of the handles at the top of the wall to adjust the height up or down. 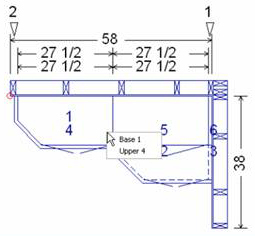 Once the wall heights are offset you can now click on each segment and modify the height via the <BR> Modify choice or the handles. If you have two adjacent wall segments of the same height they will act as one when the height is modified. To isolate each segment, press and hold the Ctrl key on the keyboard as you highlight the wall. Keep the Ctrl key depressed while modifying the wall height with the handles.